Nigerian singer Simisola’s fashion has always been a problem for many Nigerians to accept because she does not dress up wearing what everyone is used to. There have been many times that Nigerians have trolled the songstress for the way she dressed to one event or the other, but she has always stayed true to her sense of style. Style has always been what represents the personality of individuals. At times, the way you dress expresses your mood and other times it expresses who you are. For Simi, her style has always been unique, comfortable and simple. The way she dresses, it is obvious that Simi wants to look cool and noticeable but with a comfort that makes her feel free. Simi also wants to push boundaries, to dress in a way that is rebellious and uncommon. That’s why Simi is seen as a edgy fashionista. Edgy style is for people who want freedom from what society expect from them. Edgy fashionistas wear leather jackets, rock mesh, slay in see through clothes, colour black, boots and wear unnatural hair colors. The singer has been seen wearing all these styles at different times. 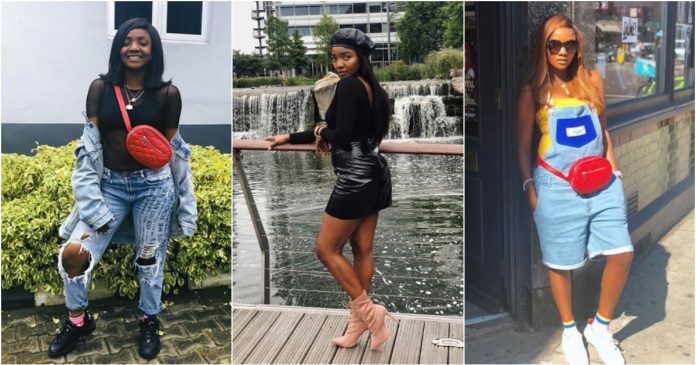 Here are ten photos of Simi rocking her edgy style effortlessly.